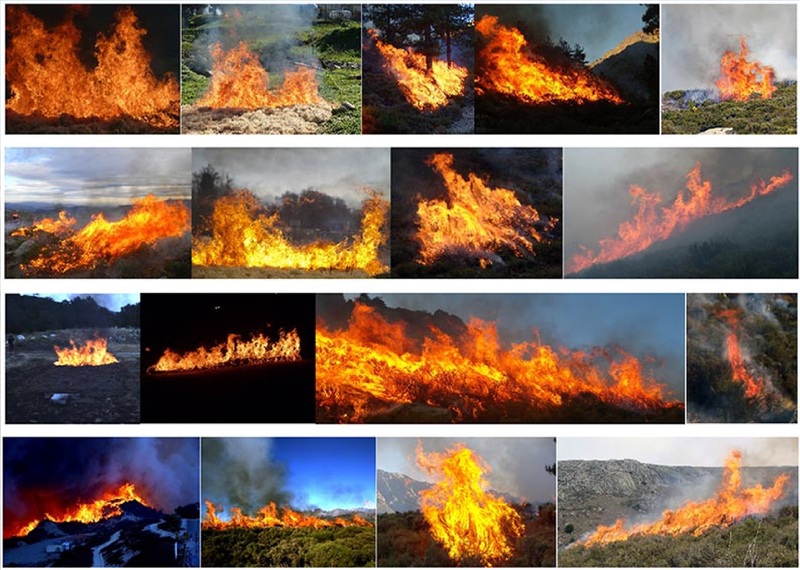 Within the framework of work conducted for the "Fire" Project concerning a visual estimation of the geometric characteristics of wildland fires, a database containing images and sequences of wildland fire images has been compiled. These images have been acquired in the visual range, in the near infrared range and under various conditions of positioning, vision, weather, vegetation, distance to the fire and brightness. 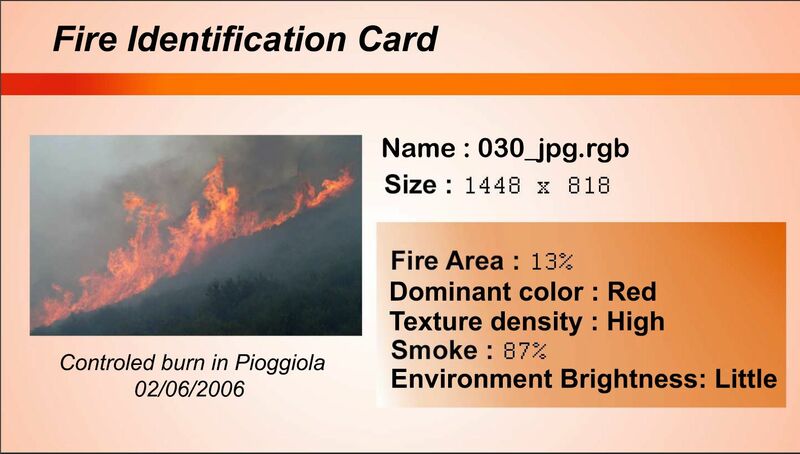 Each database image is associated with a set of information including, for example, the outline of the fire zone in the manually-extracted image, the dominant colour of the fire pixels, the percentage of fire pixels covered with smoke, the presence of clouds and the brightness of the environment. This database, named the Corsican Fire Database, currently contains 500 images acquired only in the visual range, 100 image pairs acquired simultaneously in the visual range and near infrared range and 5 sets of image pairs acquired simultaneously in the visual range and near infrared range. The Corsican Fire Database can be found at http://cfdb.univ-corse.fr/ and can be partially or fully downloaded once a user account and password have been obtained. It is dedicated to the community of researchers working on the issue of fires and firefighters.